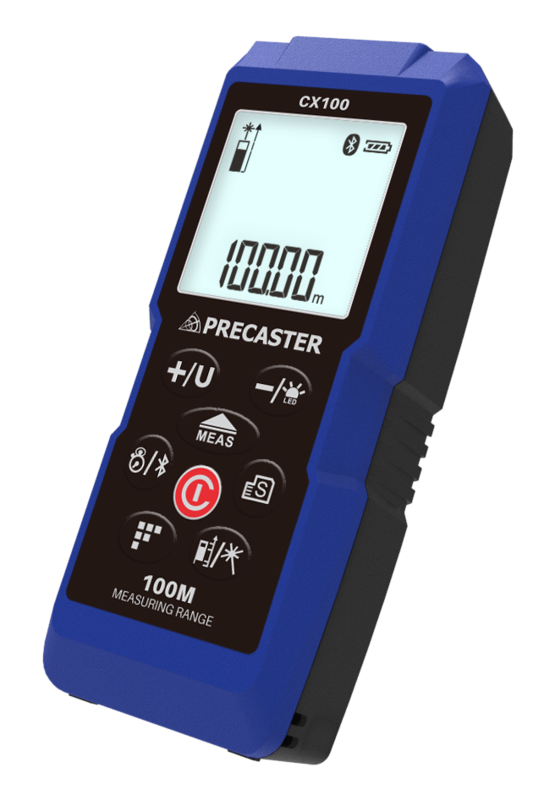 Feel the power, the precision and accentuate your professional outlook with the Precaster CX100 Laser distance meter. You can enter into a brand new season with this tool that measures distance and angles with smart Bluetooth technology. It holds the ace for everyone who values quality, timely project execution and an improved work experience. It can be connected to any device of your choice as you enjoy a seamless transition that is packed with rich benefits. The multi-function pintail gives you the opportunity to boost your measuring experience. The stainless pintail is a unique addition in this range. The pintail has 3 different positions that can help you achieve your goals. It gives you the dynamic outlet to get your measurements done in a quick and very fast way. by engaging the Pintail. Folded against the laser body, the Pintail vanishes for compact use and safe in your hand and pocket. The small 1/4’’ thread at the back of the unit is used to make an attachment with your small camera tripod. 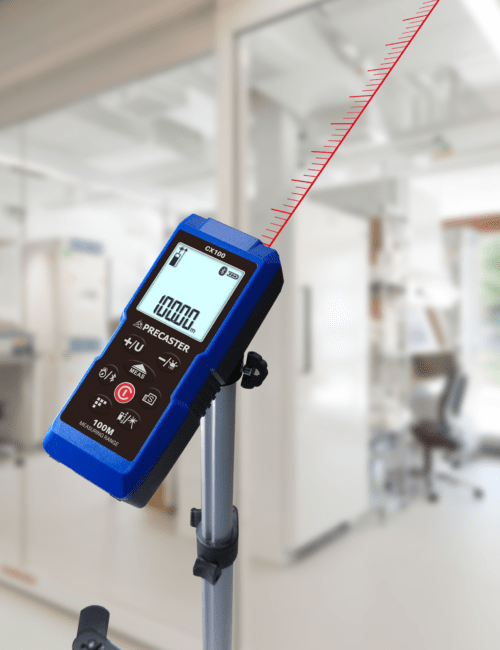 It is perfect when you use it for indirect measurements and long distance measurements. It gives more stability and accuracy when you use it. you can save the measurements you need. you can choose the numbers you want to save. 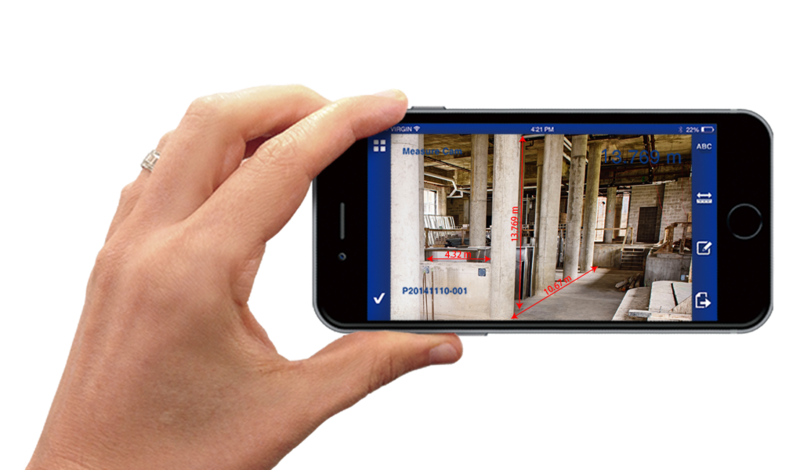 You can feel the verve of the laser measuring meter as you organize your measures and share wirelessly. The Bluetooth edge allows you organize measurements and stay in tune with others who work on a given project. You can enjoy very long working seasons without the need to change the batteries. Our product allows you to enjoy the use of your battery without worrying about the logistics of change and other allied matters.